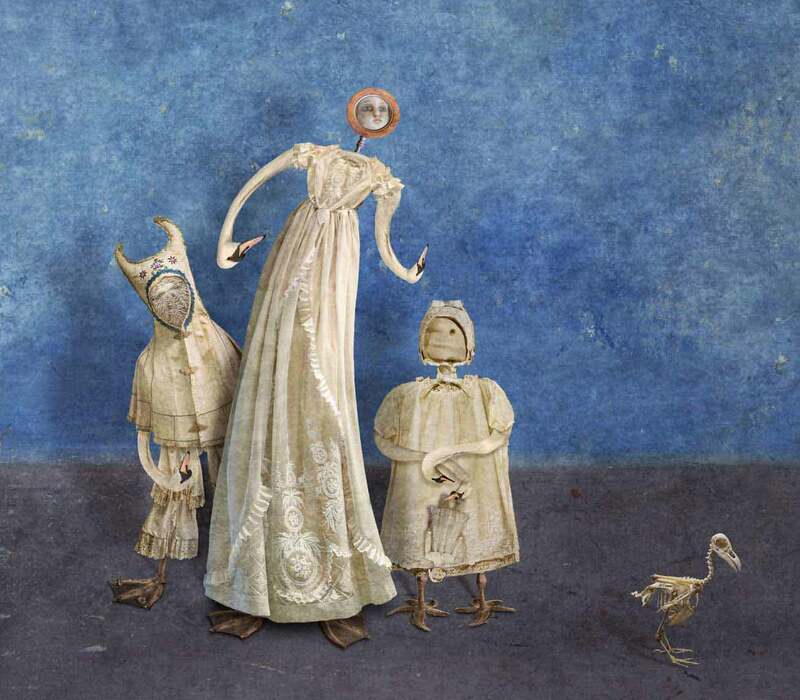 Swan Sisters is a surreal image created by Paul Biddle Artist for his Cabinet of Curiosity series. The Sisters wearing cream coloured Victorian costume and have swans necks as arms. There is a raven skeleton to the right of the composition. t	he youngest sister holds an old victorian doll in her swan beak hand.